Endless colour selections, endless possibilities! There are many hues of different colours. Make sure that your wine cooler has the right hue by custom ordering a door or base in exactly the colour you want. 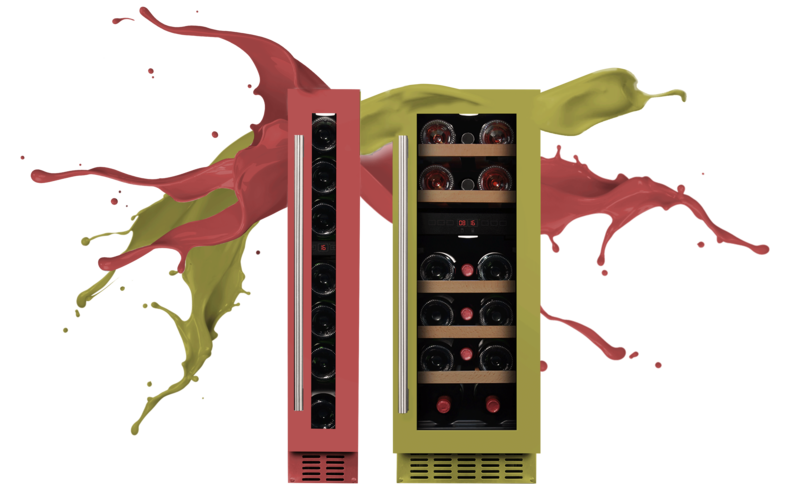 Together with mQuvée we offer the option to design your own wine cooler in the colour of your choice. All we need is a colour code (RAL or NCS) of the colour of your choice – we take care of the rest!